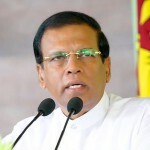 While a senior official attached to the National Child Protection Authority (NCPA) took on a more softer stance to the recent justification by President Maithripala Sirisena on the importance of parents needing to understand what drives a teacher or a principal to beat a child, a child rights expert hit out at Sirisena terming his recent utterance as an attempt to gain more popularity and votes from the teacher population. Sajeeva Samaranayake, Deputy Chairman of the NCPA said that the recent statement made by the President was more or less the ‘perspective’ of the teachers. “This is important because in a school, children, teachers and parents must all learn to listen, respect and value the perspectives of each other,” he told Colombo Telegraph. He went on to add that the duty of the NCPA as a child rights institution is to draw attention to the perspectives of children. “What do the children who are at the receiving end of corporal punishment say?,” he asked. Samaranayake noted that child rights is about learning and understanding that the powerless and voiceless also have something important to say. “I am quite sure that the President also understands this. What he was doing is drawing attention to one side. We must not over-react and jump to conclusions on the general issue,” he said. However, a visibly irked child rights expert who wished to remain anonymous claimed that Sirisena was merely trying to increase his popularity and vote base among the teachers. “It is important for the head of state to be aware of world standards set by the United Nations. The Convention of the Rights of the Child (CRC ) came into existence in 1989, and the Sri Lankan Government ratified it in July 1991. I am sure the President was in Parliament at that time,” he said. In the CRC article 28 (2) it specifically states: States Parties shall take all appropriate measures to ensure that school discipline is administered in a manner consistent with the child’s human dignity and in conformity with the present Convention. The child right expert went on to castigate the President on ground that as a leader, he cannot afford to be ignorant on such matters. He also blamed Sirisena’s unprofessional advisors for being the reason behind Sirisena’s recent absurd utterance. He said that it was important that the President obtained the services of proper advisors who were professionally qualified and also had the necessary experience. 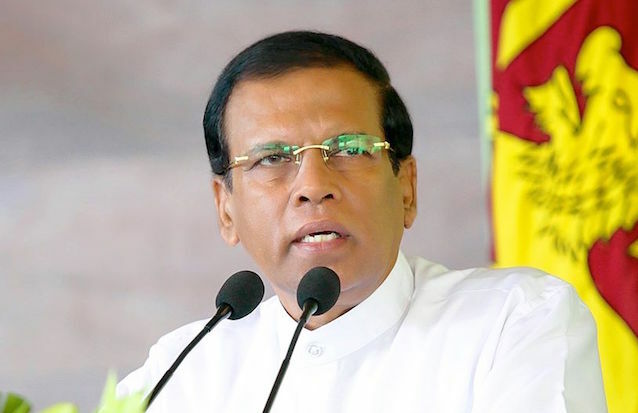 “I think there are two facets to his ill-advised statement; one is that he indirectly wanted to hit out at the UN, and the second is that by giving such statements, Sirisena had the opportunity to take advantage from the teacher voter bank,” he said. Meanwhile, Samaranayake noted that while it is evident that society is violent, it was important to encourage teachers not to hit children and instead attention must be paid to develop their environment including attitudes and skills. “If not they will simply shift to psychological aggression against students. This may not leave visible marks but is sometimes more damaging to children. The point is to listen to children,” he said. “Behavior is an area where much is expected, but very little is given by way of solid example and instruction – to both adults and children. Our administrators, principals and teachers must recognize this and act fast,” he added.